Planet S Magazine : Travel & Tourism : : All Saskatoon Transit buses are now accessible. All Transit buses are now 100% accessible. 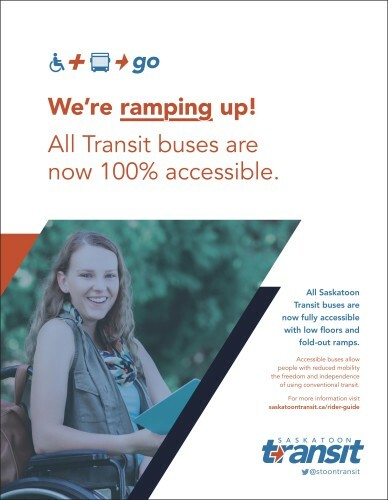 All Saskatoon Transit buses are now fully accessible with low floors and fold-out ramps. Accessible buses allow people with reduced mobility the freedom and independence of using conventional transit.